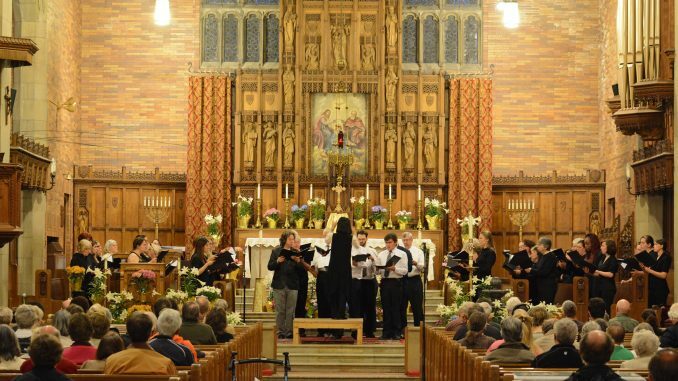 OSWEGO – Choral singers from SUNY Oswego and area high schools will offer Mendelssohn’s “Magnificat” and other holiday music in a free Oswego Festival Chorus Holiday Concert at 7:30 p.m. Dec. 4, at St. Mary of the Assumption Catholic Church, 103 W. Seventh St. in Oswego, according to Mihoko Tsutsumi, the college’s director of choral activities. 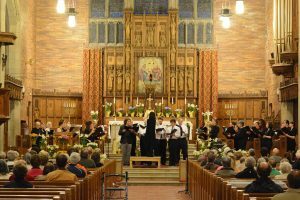 The performance will feature SUNY Oswego State Singers, the Men’s College Choir and Women’s College Choir, along with choirs from local high schools. At the end of the concert, all choir members will sing “Angels We Have Heard on High,” accompanied by a brass quintet. Contact the SUNY Oswego music department at 315-312-2130 for more information.